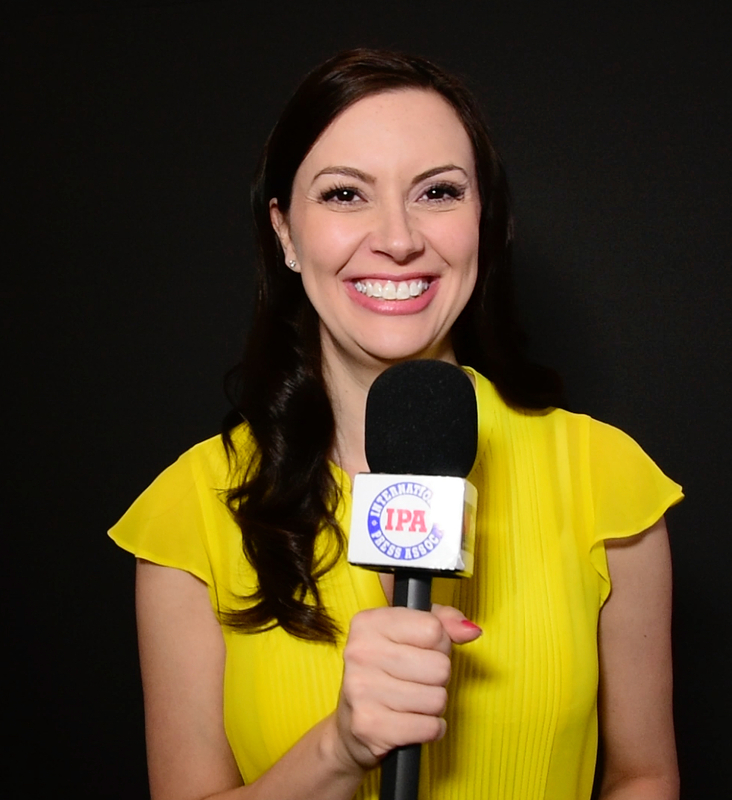 his year we wanted to cover the Easter Bonnet Parade on 5th Avenue from 49th Street to 57th Street and passing St. Patrick’s Cathedral with our newest IPA staff member Amy Bursor. We had just covered the NY International Auto Show with Amy and Andy Peeke our other IPA correspondent two days ago and now we were back again in New York for the parade. Amy and I arrived at 50th Street and Rockefeller Center at 10 AM. It was a beautiful, sunny and brisk morning and we had hoped to beat some of the crowds expected. The parade for lack of a better term was to start at 10 AM and run through 4 PM, but hundreds were already filling the streets in front of St. Patrick’s Cathedral. Many were visitors to New York from many other countries and I overheard many speak in French, who knew the French people visit New York in the Spring. 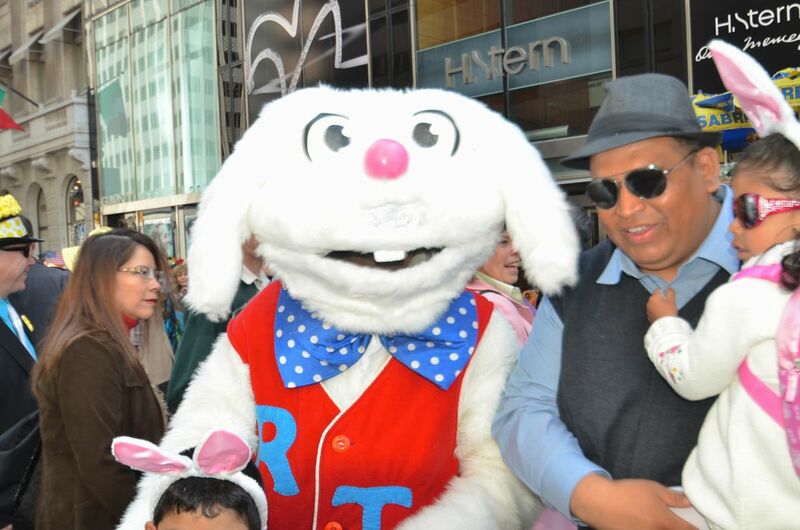 Most visitors come to see the Rockefeller Centers beautiful floral displays and the the Easter Bunny skating in the Rockefeller Skating Rink. Last year I covered a number of parades including the Persian Day parade, the Philippine Day Parade, the Israeli Day Parade and others and they all had marching bands, floats, dancers, and some had the New York City Police departments Marching Band. But the Easter Parade is a people’s parade, one that started in the 1800’s and was simply a way to spend Easter Sunday in New York after the upper class attended some of the New York church services. Most of the excitement and crowds congregated just outside St. Patrick’s Cathedral and it was a mix of all sorts of people. Some with outrageous costumes reminiscent of ones we had seen on the Halloween parades, but most were creative hats and costumes that contained Easter Bunnies, Eggs, Flowers and bright and pastel spring colors. You will see Amy interviewing some of the best we saw at the parade including the cutest little dogs from Posh Pets Animal Rescue. Now, I understand Easter Sunday is about the religious significance of the holiday, but just as Christmas has taken on a festive and wonderful time of the year for people of all religions, so has Easter. There were many Jewish visitors too celebrating the first few days of Passover and many other religious and ethnic groups there as well. This was a day for everyone, and you can see from our photos and videos, the day was one filled with brotherly love and lots of fun and finery. It was a wonderful day and our first time at the Easter Parade but now it was back over to the NY International Auto Show to get some additional video and photos to add to our two Press Only days material we shot earlier in the week.